Thanks to Jonathan Rupert of Smith Seeds for this piece. A number of years ago, I had the privileged of visiting one of the many cattle ranches operated by Lykes Brothers in Florida. 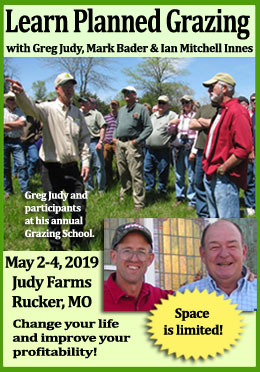 If you’re not familiar with the name, Lykes is one of the top five largest cow-calf operations in the nation with over 600,000 acres of pasture, orchards and timber and 16,000+ head of cattle. This being my first visit, I didn’t exactly know what to expect. But from the moment we pulled into the center of the pastures, I knew I was in for a treat. Our small entourage of vehicles and people were quickly greeted by hundreds of cows. Brangus and Beefmaster mama cows with their black, brown, tan and white calves either grazed calmly around the perimeter, or wandered casually up to us and hung out in our midst. A few majestic Brangus bulls ventured close as well. Regardless of color, age or size, they all looked fantastic. The whole herd had shiny coats, healthy frames, and radiated contentment. This was a happy bunch. And the grass? Well, even though it was grazed pretty low that mid-March day, it looked great too, with lush, green healthy foliage representative of access to necessary nutrient, water and healthy soil. These grass plants were simply happy. I think that’s what struck me the most – both the plants and the animals looked like they had everything they needed to do what was required of them. So with a bit of a dropped jaw, I commented to my host, “These cows look great and your fields look fantastic too!” Quickly he replied to me, “Now we have lots of land and lots of cows. Not all of the land and not all of the cows look this good. But this is our highest demanding herd and this is our best land.” He went on to explain that they choose to spend more money on their best land (fertilizer, seed irrigation) in order to get optimal production. They then manage their land and their cattle in a way as to use their best production areas to take care of their greatest needs. In this case, it was their breeding stock and young calves. Other stock would be placed on less productive pasture. Pastures that were not capable of producing optimal forage were not “asked” to carry a load beyond their ability. I have often thought about what that farm manager explained. His keen understanding of how to manage resources is probably one of the reasons why his company entrusts him with such high levels of responsibility. My guess is that Lykes Brothers didn’t become the operation they are today without developing and promoting a culture of observation, measuring, documenting, and analyzing – Intentional management. Maybe we could apply that same understanding to our farm and business operations. What are our highest demands? What our highest resources? Are we looking at ways to intentionally match these up, or are we managing by habit, convenience, or perhaps – letting our circumstances manages us? May I suggest that you consider assessing your operation with this model in mind. Do an inventory of your land and rank your fields in order of productivity potential. Also, assess your herd, ranking in order of the highest demand. Then, start asking questions as to what it might take to match the two together. New lanes? Water? Fencing? 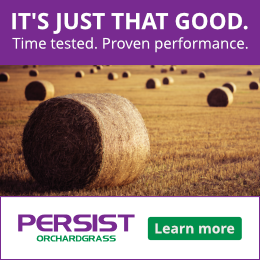 Could a change in pasture management provide you with the ability to put your highest demanding stock on the best performing pastures during their peak window of need? If so, can you build around that? One example that fits this is those farmers who have most of their ground in toxic tall fescue. It is unrealistic for some to envision the day that the whole farm will be toxic-fescue free. But what if you chose to redo just a portion of the farm in either a toxic-free or novel-endophyte fescue, or another species such as orchardgrass. And based on the above concept, redid that portion of your farm which had the most potential for producing a top-crop. 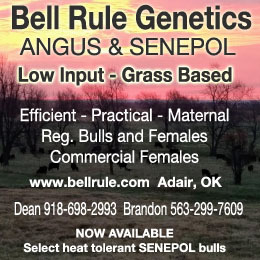 Then, what if you managed it so as to provide optimal performance specifically to be utilized during the breeding and calving window, potentially achieving a higher conception rate and healthier calves? Wouldn’t it be great to be able to do that without having to convert the whole farm? Based on what I saw in Florida, I think this and many other similar improvements can be accomplished if we learn to match our resources with our demands.